The first obligatory midterm exam: on week 7 during the practice before / after experiments. Material: 4 questions about the lectures form weeks 1-5. and one practice question. The practice instuctor gives and corrects the assay and open questions. Retakes are on weeks 9 and 14. The second obligatory midterm: on week 12 in extra time. Retake on Friday. Type of questions: multiple choices. Material: lectures from weeks 6-12, plus one assay question about the practice. Retakes: are on weeks 13 and 14. Evaluation of the midterms 5 points can be given for each question in midterm I. In midterm II 25 points can be collected for the 25 multiple choice questions plus 5 points can be gained for the practice question. This is a written exam from the materials of the two semesters. 50 points can be collected in total. Students need to collect a minimum of 40% in each block (Blocks 1-6) to pass this exam. Those students who received the mark 4 for either (or both) of their Midterm I or (and) II will get 8 (or 16) points for Block 3 or (and) 4, respectively; these students still have a choice to complete the respective exam questions to improve their grades, however, in that case these points will be counted for the exam (even if they are less than 8 (or 16)). The same policy applies to the Midterm grades of 5 with 10 (or 20) points. This offer is valid only in the respective examination period and cannot be carried over (e.g. in case of a repetition of the semester or a CV exam). Students cannot carry over any exemption from Semester I (everybody needs to answer the Biochemistry I questions). 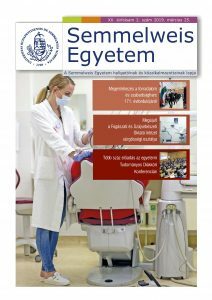 The exam results will be published in the Neptun system on the same or the following day of the exam. Modifying exam dates is free in Neptun, but only up until two days before the exam. In case a student cannot come to the exam, but brings a justification for his/her absence in 3 days, we withdraw the name from the official exam list; otherwise the „absent from the exam” note will be written into the index book. Retake of a failed exam or reparation of a passed exam is possible only 3 days after the previous exam. Absence note is not required, but a maximum of two absences are permitted from practices due to any reason. There is a written semifinal exam with questions as follows: assays, formulae, multiple choice and sentence completion.